Providing almost 50m2 of potential habitable space on one level, this hamlet house comes with . . . This cottage style property providing 61m2 of habitable accommodation all on one level, is . . . 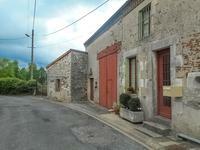 Situated in the village of Bussiere Poitevine in the Haute Vienne (87) and within easy . . . Walking distance to all amenities. 3 bedroom house from 1976 with 3 bedrooms (2 on ground . . . 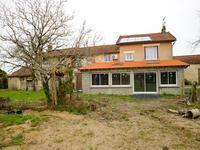 This beautifully renovated house is set in a hamlet of about 8 houses, just 4 km from the . . .
Lovely 2 bedroomed property in hamlet with open plan kitchen/lounge area and good sized garden. 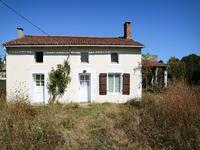 Situated in a quiet hamlet this detached property needs some work but could be a lovely . . . This well kept property is a great family home with three bedrooms, kitchen, dining room and . . . 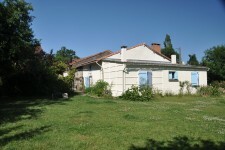 Character stone built house, 2 bedrooms, with large barn and attached garden in village location. 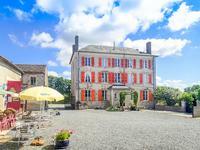 Character stone built house with a kitchen/diner, sitting room, 2 large bedrooms, a large . . . Huge 6 bedroom house in centre of bustling market town, including large garages that could be developed for commercial or rental use. 6 bedroom house in good condition and close to shops for all your daily needs. The house . . . This spacious, renovated, 4 bed property is on mains drainage, and has been painstakingly . . . This former hardware shop, with over 200m2 of potential owner’s accommodation essentially on . . . 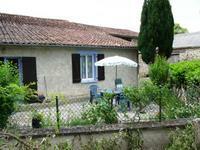 Situated in a small hamlet only a couple of minutes from Bussière Poitevine this . . .
A large property with lots of potential. The main house with 2 bedrooms is habitable and the . . .
Modernised house with 3 bedrooms, large room used as lounge/dining room and corner kitchen. . . .
A spacious house, with all the hard work done for you - a new roof, new septic tank, . . . This large lake (just over 2 hectares) is set on a piece of flat land not far from the river . . . This surprisingly large 7 bedroom house, providing about 270m2 of habitable accommodation on . . .
A rare find, this stunning six bedroom riverside property is fully renovated and has oil . . .
Set back from the quiet country lane, the principal house sits invitingly at the end of a . . .
Imposing 5 bedroom house with attic and cellar of 106m2. Within walking distance of Bussiere-Poitevine. In a prominent position, close to a bustling market town, this house offers a kitchen, . . .
Easy maintenance. Modern 2 bedroom detached bungalow in quiet location, walking distance from a busy market town. Double glazed throughout. 2 bedroom detached bungalow with large lounge, kitchen, bathroom with shower and washbasin, . 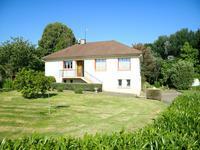 . .
Beautiful 4 bed family home in a peaceful hamlet with shops and services within easy reach. Fabulous 4 bed family home with beautifully stocked garden in a quiet hamlet, 5 minutes from . . . 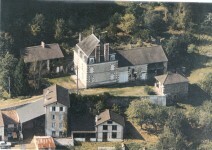 Magnificent maison de maitre. Walking distance (1km) to amenities. 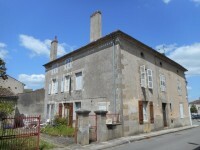 Situated a short walk from the edge of the town this is a fine example of a maison de . . .